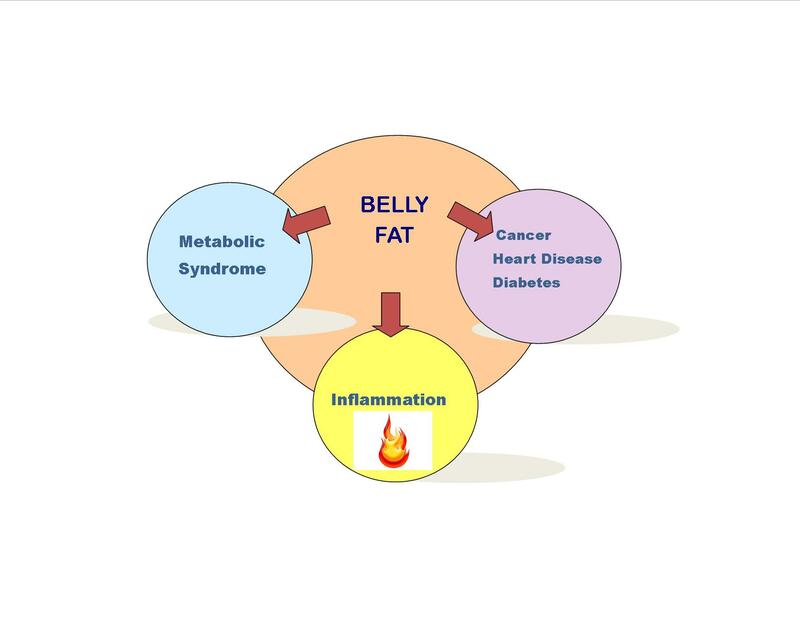 During a recent 5-day cancer conference in Washington, D.C. additional evidence was presented about the fact that inflammation produced by fat cells (adipose tissue) contributes to the growth and spread of tumors. Dr. M.Kolonin of the University of Texas Health Science Center in Texas has been quoted as saying: “Obesity is the leading preventable cause of cancer in the U.S. Extra body fat not only increases one’s risk of developing cancer, it is also associated with poorer prognosis [outcomes]”… “Ten percent to fifteen percent of cancer deaths may be attributed to obesity”. Exactly how body fat influences cancer development is still under investigation, but the key appears to be the inflammatory responses of the body to cancer cells and vice versa. Macrophages are one of the major classes of white blood cells responsible for starting the inflammatory response when the body is threatened by cancer cells, and reducing inflammation when the challenge is over. Typically, the breast tissue of overweight and obese young women is more inflamed, and has more immune cells, such as macrophages compared to women of healthy weight. Also cancer in obese women is more difficult to treat than in women at healthier weight. Metabolic syndrome is associated with a group of factors that puts one at greater risk of having heart disease,diabetes and stroke. If a person has three of the following factors, or are on medication for them, it is called having a metabolic syndrome. These factors are: excess stomach fat, high blood pressure and triglycerides. low levels of “good” cholesterol (HDL), and high blood sugar. In one study of 100 women, half of the women with inflammation of their breasts and early-stage breast cancer also had metabolic syndrome. Since obesity contributes to growth of tumors, investigators wondered whether weight loss might reverse the tendency to grow tumors. In mice, tumors grew more slowly in obese mice that had previously lost weight. Dr.Hellen is available to help you enhance your quality of life to its maximum. She can be contacted by using this form, contacting her at: drhellen@drhellengreenblatt.info or feel free to call her at: 302.265.3870 (ET, USA).